"California's very existence is premised on epic liberties taken with water..."
It rained last week. On Point Dume, we had a third of an inch. It’s not much, but it's enough to keep at least some seeds of hope alive. Back in January, I wrote a short article for the Malibu Surfside News on local drought history. Here’s a more in-depth look at the pattern of droughts and floods that has shaped the landscape of Malibu. Until the recent rains in Northern California, the media had a field day with dire predictions that this will be the worst drought in California history, or at least the worst since the drought of 1977 or the dry spell that lasted from 1944-51. However, the historical record shows numerous severe drought periods in the 19th century, before “official” scientific records were kept. Drought impacted Southern California in 1863, 1871, 1877, and 1897, and those drought periods arguably changed the course of history in Malibu. 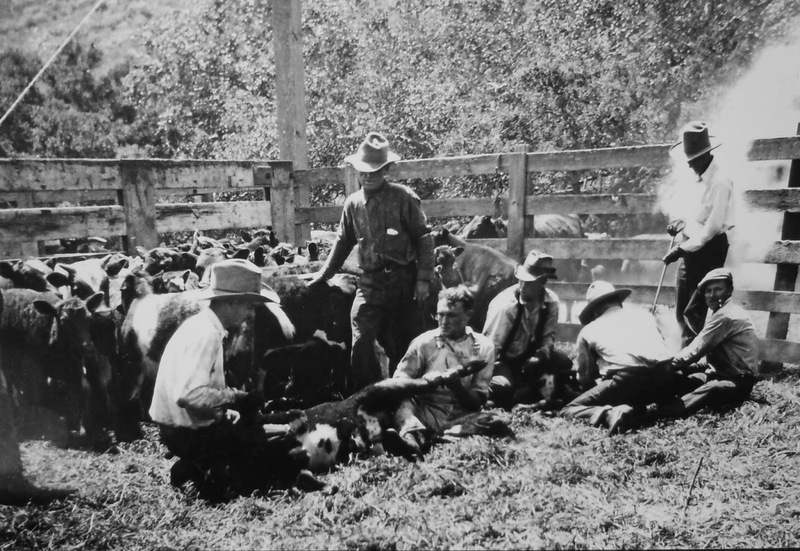 Malibu Rancho ranch hands brand cattle at Zuma in 1897, the year of a major Southern California drought that affected the Malibu Rancho and much of the West. “Alas! Alas! The dry year is upon us. The very air seems oppressed and oppressing. The very air seems oppressed and oppressing. 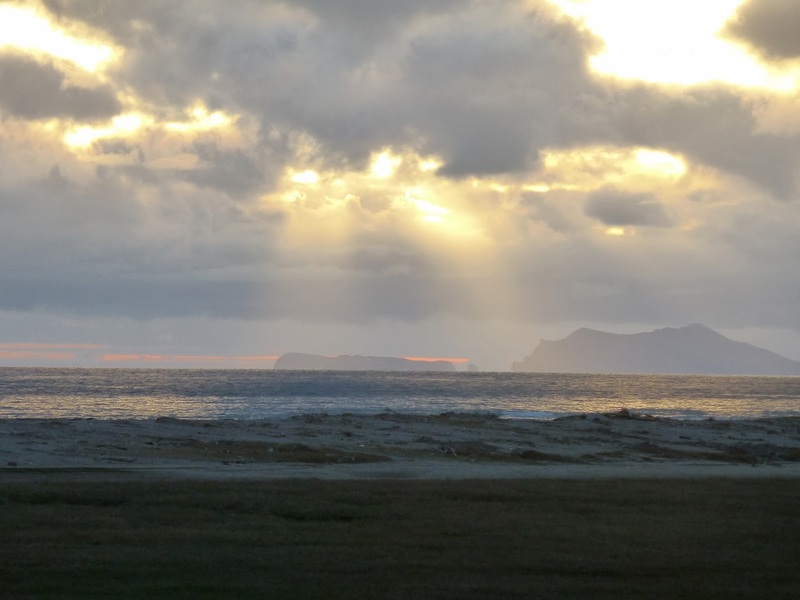 It is a battle to feel cheerful when Nature is sad. 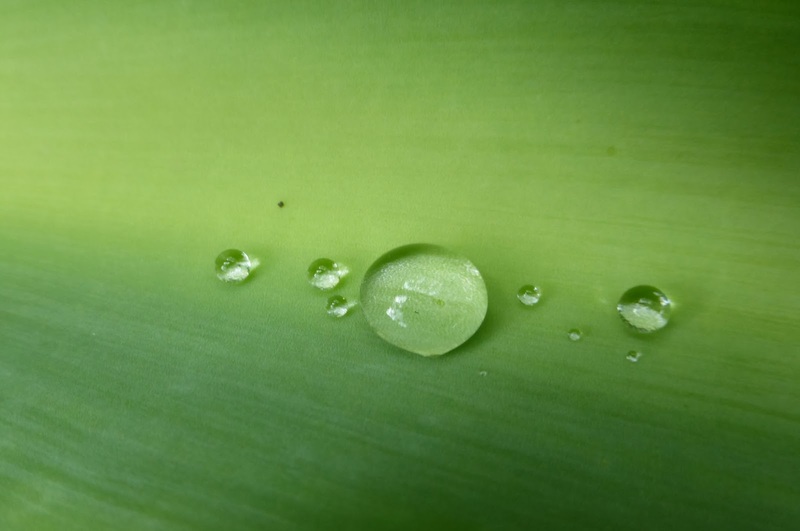 One's nervous system loses its elasticity, and it is hard to do vigorous work. Indeed, this may be the effect of the mind upon the body : the mind being burdened with distress, the body responds sympathetically. The sombre fields look sad and discouraged. The wild flowers are not "in tune," but lie late, sleeping silently in the seeds ; the poppy fields are silent and sad, though next year they will awake in their glory. The cows, with mournful pity, look upon their shrunken-sided calves ; the mothers eat even the leaves, but alas ! they make but little milk. The goats drop their young before time, in the foothills, for lack of nourishment to support their growth. Dejection is on every side. Even the good spirit of the blue jay seems lacking, under the relentless skies. In this 'day of grief and desperate sorrow,' what shall we do but trust in God ? Our cattle and horses have death before them. The little lambs lie dead about the corral and on the hills, the ewes being milkless. To pay the pasturage on alfalfa farms would cost more than the stock is worth." “The drought of 1898 was, if possible, more devastating in its effects than previous droughts except that of 1862-1864,” states an article entitled “California’s Cattle Range Industry: Decimation of the Herds, 1870-1912, published in the Journal of San Diego History in 1965. “Reports of county assessors indicate a reduction in number of cattle in the entire state from 487,742 in 1898 to 463,536 the next year,” the article states. “The president of the State Board of Agriculture, however, reported that actual losses were much greater than the assessor's reports revealed. A contemporary remarked that the drought of 1898 was ‘the means of crippling the cattle business greatly in California.’"
The 1877 drought reportedly drove the previous Malibu Rancho owner, Matthew Keller, to abandon plans to plant extensive vineyards and other crops. Keller bought the ranch in 1857 and spent the next 15 years fighting a legal battle for title to the land. He received the patent in 1872, at the end of the devastating three-year drought. At his extensive farm acreage in Los Angeles, Keller experimented with cotton, castor beans, and citrus, in addition to raising grapes for his successful Rising Sun and Los Angeles Vineyard, which produced wine, sherry and brandy. 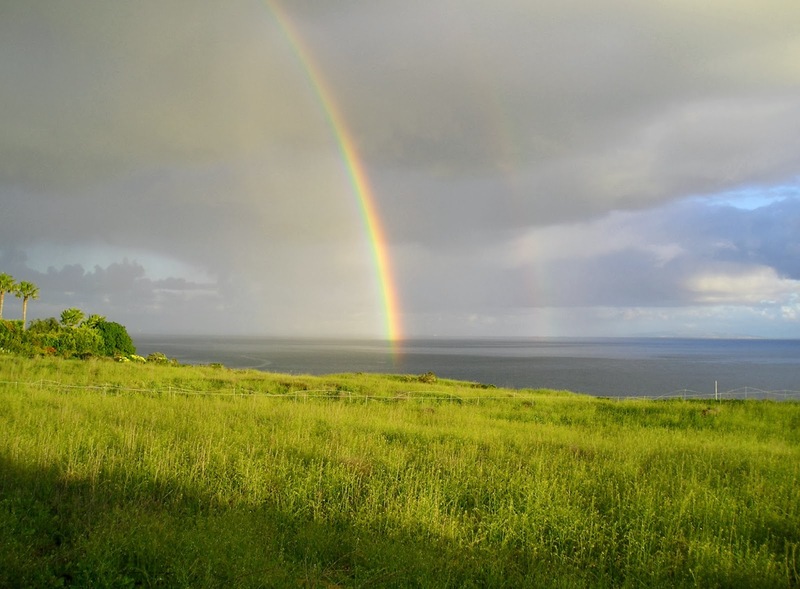 Keller eventually planted a vineyard at Solstice Canyon, one of the few local canyons with reliable year-round water, but large-scale plans for Malibu never materialized and he leased most of the property to neighboring cattle and sheep ranchers for grazing range. Today, all that remains in Malibu of Keller's legacy is the Rising Sun Trail in Solstice Canyon, named for his 19th century vineyard. 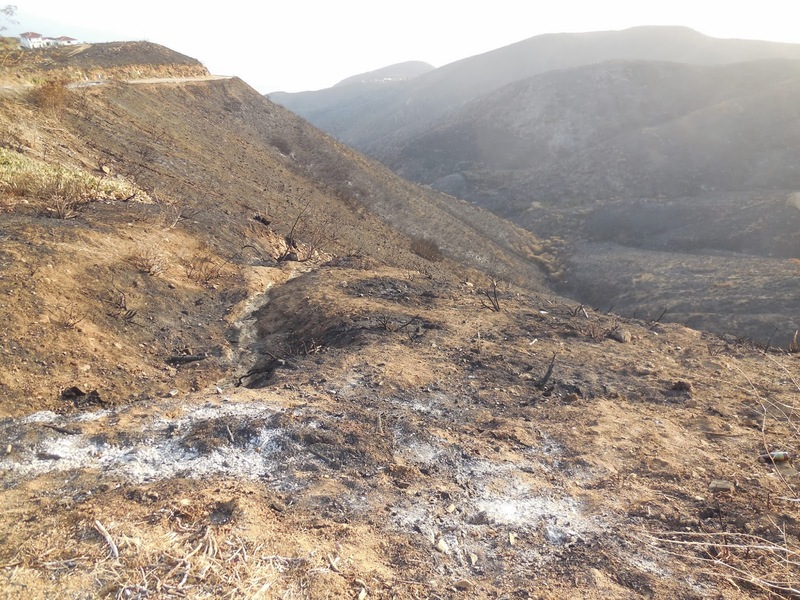 Much of the livestock that grazed in Malibu belonged to ranchers on the other side of the Santa Monica Mountains, including the areas that are now Newbury Park, Thousand Oaks and Westlake in the Conejo Valley. The 1877 drought decimated cattle and sheep population and left many ranchers bankrupt. Egbert Starr Newbury purchased a portion of the former Rancho El Conejo land grant in the early 1870s, but had to abandon his Newbury Park Ranch following the devastating 1877 drought. This is an archival photo of an old Newbury Park Ranch barn. While we have little information on the effect of drought on the Malibu Rancho in 1900s, accounts from Conejo Valley on the other side of the Santa Monica Mountains, paint a grim picture of this period in local history. The drought cost many Conejo Valley farmers their farms. Civil War veteran Egbert Starr Newbury, who homesteaded Newbury Park and built the first post office in the Conejo Valley, lost everything in the 1877 drought. He wasn’t alone. Howard Mills, one of the first land speculators in the area, bought 20,000 acres in 1873, including the 6000 acres that he named Triunfo Ranch and that is now Westlake Village. The 1877 drought drove Mills to bankruptcy. Mathew Keller died in 1881 and his family sold the entire Malibu Rancho to Rindge, who continued to run cattle, but as a hobby, not for a living. Later ranchers, including the Kincaid family in Trancas Canyon and the Roberts Ranch in Solstice Canyon also ran cattle, but on a more modest scale. 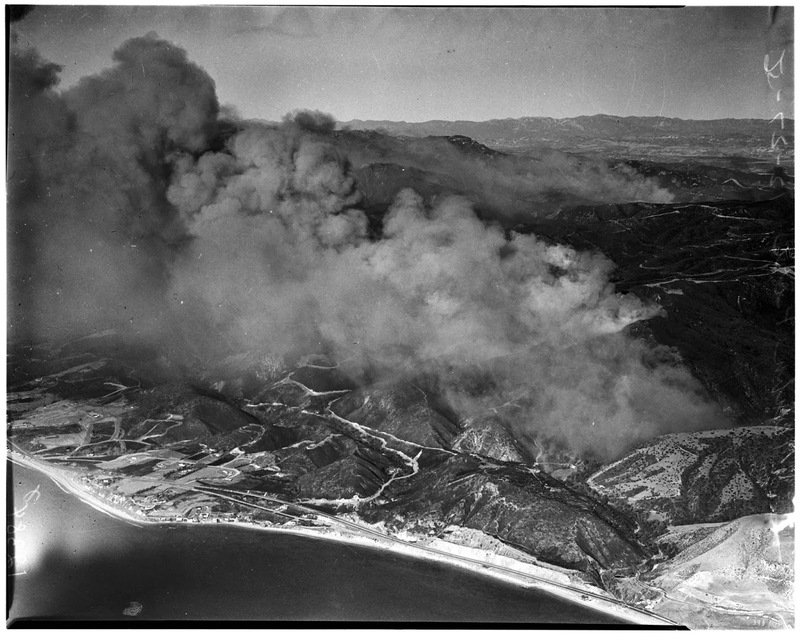 Fire followed the 1897 drought in 1903, burning much of Malibu. The 1945-51 drought was followed by a catastrophic fire in 1956 that put an end to the last remnants of the Malibu ranch tradition. County water arrived throughout much of Malibu following World War II, bringing more intensive development, but the cycle of drought, and the wildfires that accompany it, still impact residents directly, and water remains a critical issue in the areas of Malibu that still depend on wells. Only a small fraction of Malibu's population would able to live in Malibu if the community depended on groundwater, and the current craze for vineyards combined with the lasting drought is reportedly already impacting areas of the Santa Monica Mountains where homeowners are increasingly finding themselves competing with viticulture for well water. An aerial view of the eastern end of the 1956 fire, dated 1956-12-27, from the Los Angeles Examiner Negatives Collection at USC. The fire followed an extended period of drought from 1944-51. The 1978 fire took the same route to the sea and also followed a period of extreme drought. 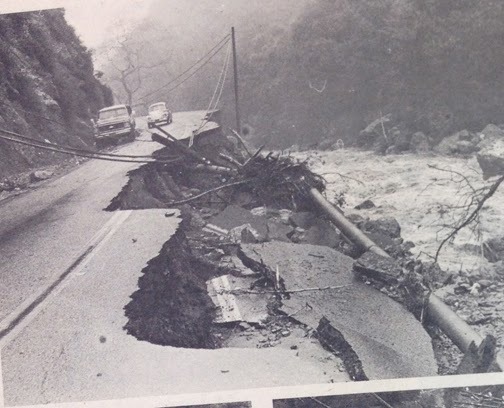 This is an archival photo from the old Malibu Surfside News of Topanga Canyon during the floods of 1979-1980. 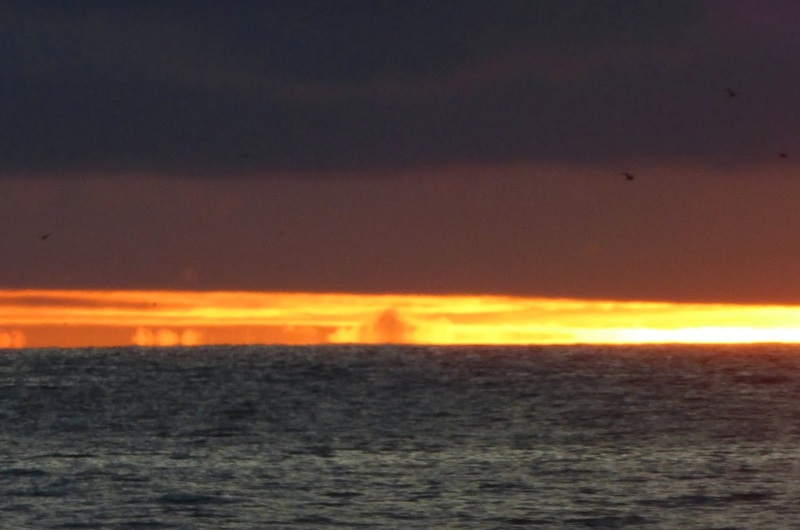 The pattern of drought, fire and flood is familiar to anyone who has lived in Malibu for any length of time. Predictions continue to indicate extended dry weather across Southern California this winter but longtime residents still recall that the 1977 drought was followed, first by the 25,000-acre 1978 Kanan Dume Fire and then by the floods of 1979-80 that damaged more than 100 homes, transformed dry creek beds into raging rivers, and buried a section of PCH under thousands of cubic feet of mud and rock. It's a pattern that has repeated many times. In fact, the 1863 drought was preceded by the great flood of 1862, when it reportedly rained for 45 days in a row, flooding the entire West Coast, from the Columbia River in Oregon to Northern Mexico. 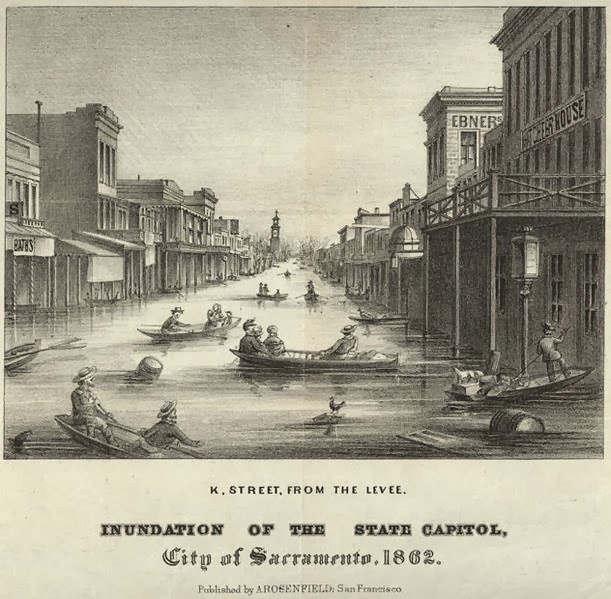 There's no surviving record of how the great flood of 1862 affected Malibu, but here's a charming litho of Sacramento, transformed into "a second Venice." The flood, also known as the Noachian Deluge, was no joke, it bankrupted the state. Almost the entire Central Valley was transformed into a temporary inland sea. In Southern California, the town of Ventura had to be abandoned, residents scrambled for high ground as the river rose and kept on rising. Los Angeles was hammered with 35 inches of rain. The L.A. River, reportedly clogged with debris that included entire houses and hundreds of drowned cows and sheep, turned much of the L.A. Basin into a vast, shallow lake. “No other city seems to excite such dark rapture,” wrote Mike Davis in The Ecology of Fear: Los Angeles and the Imagination of Disaster, a 1998 chronicle of the numerous disasters, real and fictional, afflicting the Los Angeles area. 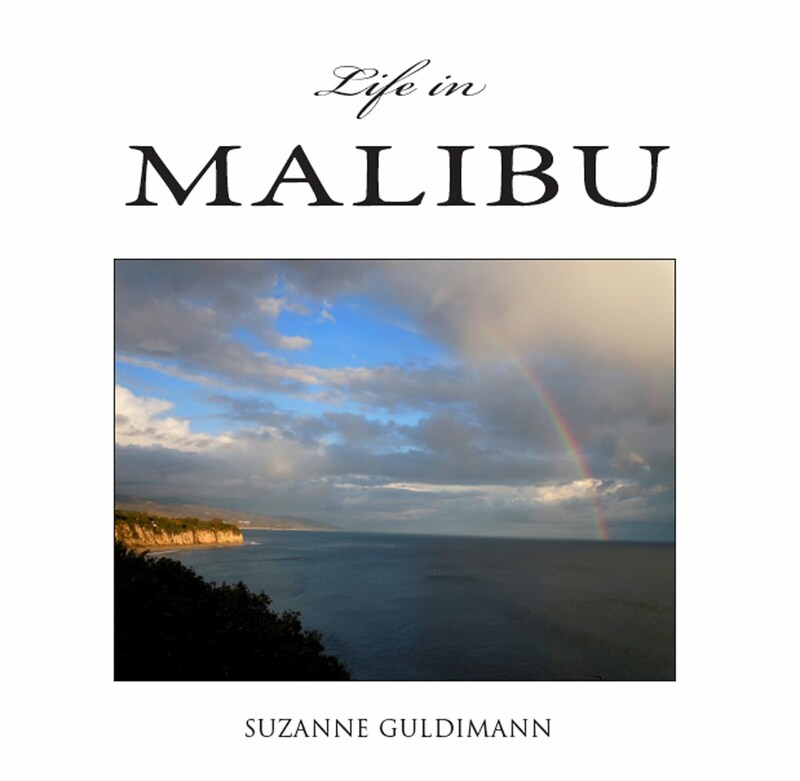 The book includes Davis' infamous essay “The Case for Letting Malibu Burn.” And yet, many who live here love this place fiercely and are willing to endure all of the extremes in exchange for a chance to experience what Frederick Hastings Rindge described as “very near terrestrial paradise,” even when that paradise is tempered by the extremes of flood, fire and drought.